3-room apartment 50 m2 on 1st floor. Cosy and wooden furniture furnishings: 1 double bedroom. 1 small room with 1 x 2 bunk beds. Kitchen-/living room (oven, dishwasher, 4 ceramic glass hob hotplates) with dining nook and satellite TV (flat screen), radio. Exit to the balcony. Shower/WC. Balcony. Balcony furniture. View of the mountains and the countryside. Facilities: hair dryer. Internet (WiFi, free). Please note: non-smokers only. Vandans: Child friendly, cosy apartment block Sonnegg, surrounded by trees and meadows. Above Vandans, in a quiet, sunny position on a slope, 800 m from the skiing area. For shared use: garden. In the house: storage room for bicycles, storage room for skis, central heating system. Motor access to the house. Parking at the house. Grocery 1.2 km, restaurant, bus stop 800 m, outdoor swimming pool 1 km, indoor swimming pool 1 km. 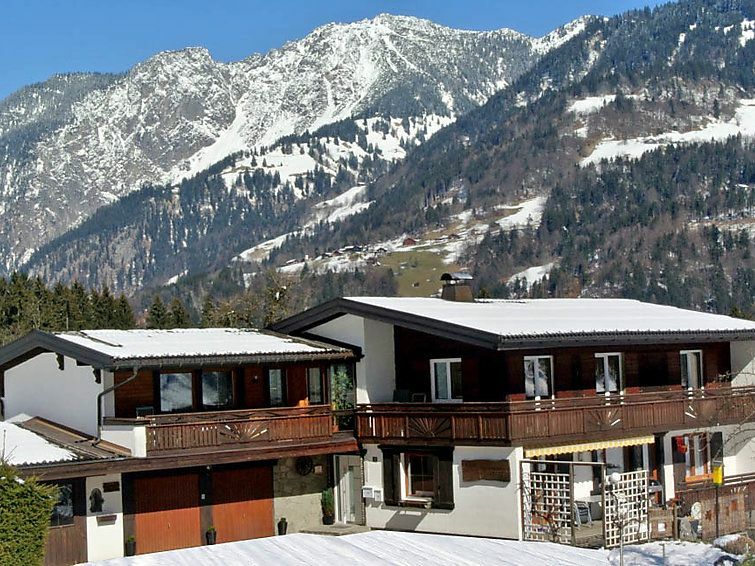 Tennis 1 km, gondola lift, ski school, sled run, children's playground 800 m. Nearby attractions: Alpine Coaster Golm 800 m. Well-known ski regions can easily be reached: Golm 800 m, Silvretta Montafon 8 km. Please note: In case of good snow conditions, the house is accessible on skis.